A complete set of ICT services are contributed by us to deliver end-to-end solutions for your business needs. At every stage of our service model, we are dedicated to helping you get real value from your ICT. Our mission is to give you the support to have improved clarity, competitiveness, efficiency and cost-effectiveness in your daily operations. We achieve this through leveraging the highest levels of expertise across our technical teams who have gained extensive experience by serving thousands of clients throughout the years. We excel at providing expert resources for project or team augmentation requirements on a contract or permanent basis. Our key expertise is that, with over 30 years delivering projects and services, we know how to ensure that the right resources are placed for the right work. 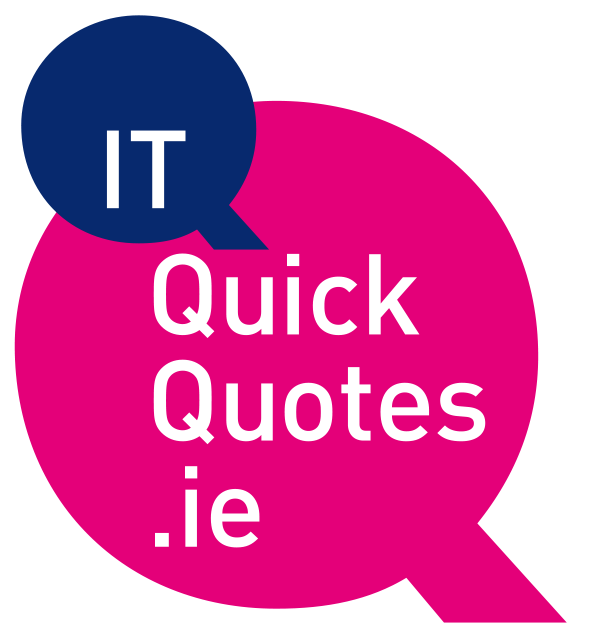 Finding the right talent at the right time can be difficult especially as the Irish IT market is growing. We strive to deliver quality resources for our clients even at short notice. With our vast database of skilled individuals and our own resources, we offer you access to a large pool of experienced IT professionals. From our permanent and contract teams we provide resources on a planned as well as on short notice basis for the delivery of projects, ongoing support and systems administration engagements across a wide range of technologies and competencies. We provide resources that are highly experienced and coming from our own staff or regularly used contract teams. Resource training, development and retention: continuous programmes with our personnel to ensure that they are developed in line with changing technology so as to continually add value back to our customers. Quality resources in a managed framework to meet your project or staffing demands. We provide a complete service solution for the rapid deployment of end user devices that can be accommodated on a national basis. We also have extensive experience in the management of lifecycle services for equipment deployment, management and waste disposal. The PFH approach is unique, the uniqueness being a simple yet effective process that is customised to meet specific customer requirements. We work to your needs, you don't work to ours! A dedicated expert service that handles the logistics and complexity of deployment and lifecycle projects to ensure that business demands are met. At PFH we look after your IT systems, whether located locally or in the cloud, so you can focus on your business. After years of experience, we have developed a suite of managed service offerings based on an acute understanding of what our customers need to enhance their business operations. Our contribution to your enterprise is to deliver a tailored service that meets your exact requirements – we suit your needs; you don’t change to suit ours. We provide services including installation, administration, monitoring, refreshing, maintenance, design and helpdesk assistance which can be facilitated onsite, remotely, or both. As a result of significant investments in our service desk, operations centre, personnel, processes and quality systems, we aim to ensure clients’ expectations are met and exceeded by our valued, flexible service. User support is the lynchpin that connects the efficiency of your business to the delivery of effective IT. When users are unable to operate their IT effectively, your business is impacted. PFH's ICT Service Desk delivers essential first response services to our clients and provides the level of satisfaction users expect with their IT systems. These operations can be configured to suit any organisation, whatever its size or requirements. We have cemented our expertise in establishing and managing dedicated shared onsite and offsite service desks with skilled personnel and with escalation to both specialist resolution groups and management direction. Our assistance can extend to desk side support and field break/fix teams, while our key performance measures will inform us on how we continuously improve service levels and build knowledge management solutions. Highly skilled, trained and certified service desk agents up to senior level. PFH has one of the largest field service teams in Ireland which is in excess of 50 engineers based across the 32 counties covering all your IT support requirements. Our Field Engineering team provide the onsite element of our maintenance and support operations as well offering installation and configuration services to our customers. With our engineers strategically placed in areas across Ireland, we can reach any location for onsite support. We can offer various fixed service level agreements within a single contract, ranging from 2 hour, 4 hour, 8 hour or next business day, 24/7, on laptops, PCs, printers, servers and storage. We also provide multi-vendor support from the desktop to the data centre. Each one of our engineers are accredited by the leading IT manufacturers, including HP, Lenovo, Dell and Unify, and are linked to our Incident Management System, which gives live call updates and tracks the location of our field team. As PFH are Ireland's largest IT “3rd party” maintenance company we have the resources, capability and national coverage to meet any systems maintenance need. Our 24×7 ISO 20000 based maintenance services are delivered through a fully staffed operations centre to provide you with variable options to meet your IT requirements. We cover a full range of IT related equipment, including laptops, desktops, printers, servers, storage arrays, network and telephony systems. All our services are delivered directly by PFH using leading manufacturer accredited engineers. We provide maintenance support on equipment from many key vendors such as Dell, IBM, HP, Cisco, Unify and many others. Our support services cover devices and platforms ranging from the client device to datacentre solutions. In many cases we offer significant cost savings over manufacturer support pricing using the skills and experience of our large team of field engineers based nationwide. All our engineers are manufacturer accredited. Access to expertise and escalation to cover all mainstream technologies. Cloud based service system accessible by all service resources. A professional managed maintenance service to agreed service levels that is cost effective, flexible and reliable. Organisations of every size are at risk from increasingly sophisticated threats including dangerous ransomware viruses. But don't stress; PFH can help! We can take away the risk with our brand new secure, centrally Managed Firewall Service. Are you worried about the continuous threat to your network and business's data? Is the growing use of cloud computing and mobile solutions adding new levels of risk, complexity and cost, to securing your organisation’s data and intellectual property? Is your IT budget tighter? Does your organisation have the resources to managed growing security challenges? If you have answered YES to any of the above you are not alone. Organisations of every size are dealing with theses issues while also combating a wide range of increasingly sophisticated threats, including cybercriminal activity, spam, malware and the rapidly spreading threat to organisations by the dangerous ransomware virus; CryptoLocker, spread using official-looking emails, fake pop-ups and similar techniques. The virus notifies people about missing payments, purchases and similar things that can easily trick people into opening the malicious attachment. As soon as such attachment is opened, the computer is infected and predetermined files are encrypted. With tighter budgets many organisations don’t have the resources to easily address their growing security challenges but PFH can help. PFH will provide and install the new firewall and proactively monitor the firewall 24 hours a day looking for signs of attack or intrusion and administer and support multiple network security functions.Using SonicWALL, we can help you meet your compliance and security objectives by managing and monitoring your firewall appliance. PFH offers our Managed Firewall Services as an annual service subscription with monthly billing, in which PFH security personnel connect to a firewall and manage it on your behalf. This offer includes access to the PFH Portal where you can see the status of devices, view a security dashboard, and create tickets to request configuration changes. In February 2019, we announced our new Disaster Recovery as a Service (DRaaS) solution using Datto technology. The DRaaS service is a full managed service for disaster recovery and backup and is managed centrally from the PFH Datto portal. This is an all-in-one solution for Backup, DR and Ransomware. Each backup is a fully bootable virtual machine without the need for complex, time-consuming conversion processes before performing a restore as there is no backup chain to process. Traditional backup technology takes an initial full system backup, and then records the changes in a linked list. The Datto Solution Combines local and cloud infrastructure to boot an entire server infrastructure on the local SIRIS NAS, or hybrid via Datto’s secure cloud, you can be back up and running as fast as the images can boot. The full environment is managed through the PFH Datto partner portal. We monitor the backup and replication on a daily basis and carry out a full DR test annually as part of the service. We design and tailor a DR solution to meet any requirements and price points and recovery objectives. The Solution is suitable for SME’s to enterprise clients and can scale from 1TB to 120TB’s of data. Managing all aspects of your cloud experience. We deliver integrated and secure managed cloud services that enhance your business by enabling mobility, agility and increased productivity. From billing to day to day operations, our team manage all aspects of your cloud environment so you don’t have to. 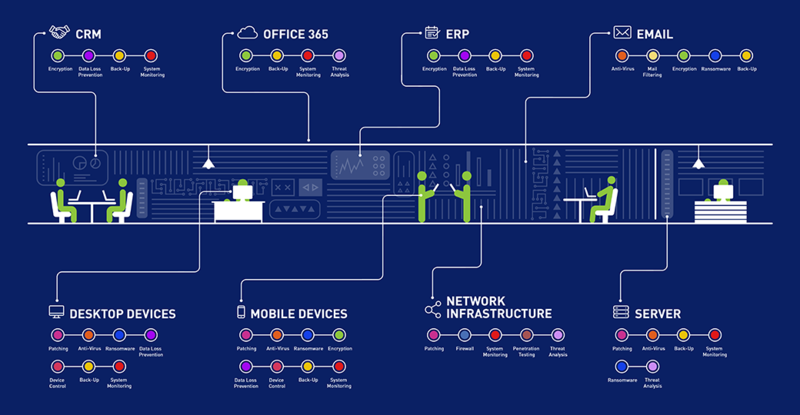 Our services range from simple infrastructure solutions to integrated application deliver and management as well as security services for a mobile workforce.